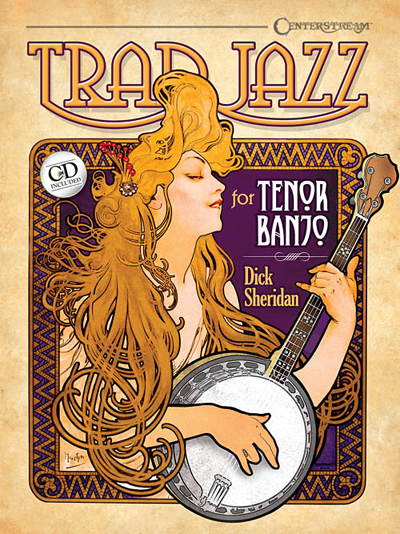 Part of a universal repertoire familiar to all traditional jazz musicians, the 35 standards in this collection are arranged for the tenor banjo but chord symbols make playing suitable for all banjo tunings as well as other chord instruments. Popular keys have been chosen, with melodies in notes and tab, plus large, easy-to-read chord diagrams, lyrics, commentary and more. Includes: Margie • Wabash Blues • Tishmingo Blues • Avalon • Back Home Again in Indiana • Shimmy Like My Sister Kate • St. Louis Blues • Jazz Me Blues • Old Green River • By and By • and more.